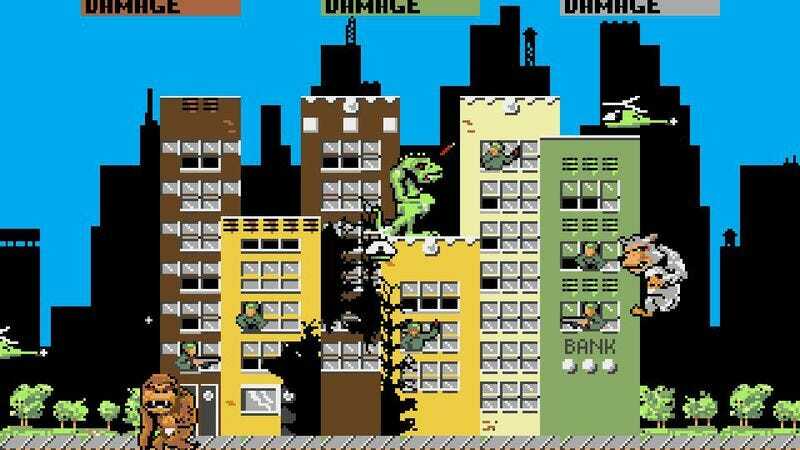 There isn’t a whole lot going on in the original Rampage arcade game. It’s about a monkey, a wolf, and a lizard that get transformed into giant monsters, and then they start smashing buildings and eating people until the military manages to kill them. It’s not exactly Midway Games’ Citizen Kane—that honor goes to Cruis’n USA, obviously—but apparently there’s still enough there for Hollywood to justify making it into a movie. Rampage will star Dwayne Johnson, who recently appeared in Peyton’s San Andreas, and the director says he’s “so excited” to work with him again. In that movie, Johnson played a man who does a terrible job saving people from earthquakes (unless they’re his immediate family), so hopefully he won’t wast any time trying to rescue people in Rampage.